We offer Real Estate Appraisal services for litigation supp ort and expert witness, with experience in many types of property. Clients who have used our services include financial institutions, legal and accounting firms and many other businesses. In many cases, our independent, supportable analysis has allowed clients to settle cases without going to court. An appraiser must remain unbiased in performing an appraisal of a property. But we can consult with you and advise you about the relative strength of an appraisal presented by opposing parties. We can also perform additional research and analysis to support assumptions or conclusions. • Valuation for divorce, partnership, taxation issues etc. With our experience and proven track record we are ready to take on any type of appraisal assignment and our appraisal values stand up under the most severe scrutiny. Real Appraisal is the blogsite of Gus Agosto, a licensed real estate appraiser, broker and environmental planner. He was appointed Appraisal Commissioner of different regional courts in Cebu, Mandaue and Lapulapu City. He valued properties of various type-commercial, industrial, residential and institutional, and works with a number of corporations, realty, institutional clients and professionals. 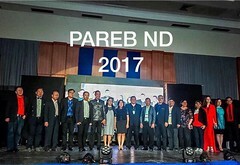 He is currently teaching real estate and finance in University of San Carlos, Cebu City and elected National Director of Philippine Association of Real Estate Boards.